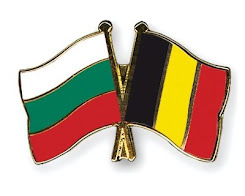 Belgian Bulgarian Tax and Law Consultants: What is payrolling? Payroll is a fast-growing phenomenon. It is a form of of hiring-out of workers to clients, which clients themselves are responsible for the recruitment, selection and supervision of employees. 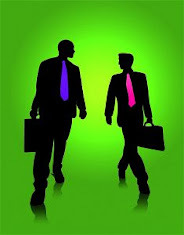 Often it is about individual or group acquisition of staff of a client. With payroll it is possible to outsource the contract management and the remuneration of flexible staff recruited by themselves in a free, easy and advantageous way without any risk. The contract of employment in which the employee by the employer, in the context of the exercise of the profession or business of the employer, is available to a third party to provide work - in principle a prolonged job – under the supervision and guidance of a third party. The payroll agreement is accomplished after recruitment of the worker by the third party, not by the employer. The employer reasonably fulfills the tasks he has as by law as an employer and the services provided by the claiming employer focuses in particular on payment of wages and related payroll administration. The employer is not entitled to make available the employee to companies other than the establishment of the third party, unlike in case of reintegration because of disability or loss of command at the third party. Behind this definition, there is going on a very diverse practice. Payrolling has many manifestations and various backgrounds. Clients are handling a variety of motives to go payrolling. There are payroll companies that are highly focused on the so-called 'no more care' motif, there are also clients who use payrolling to provide in the need for flexibility. Sometimes the payrolling is limited to temporary and/or small contracts, the so-called flexible shell of the client. Also the payrolling of temporary staff is a growing phenomenon. At the other end of the spectrum you see payroll companies taking over a full workforce, including employment contracts for an indefinite period of time.